I have a strange affection for quirky roadside attractions. The bigger, the better. 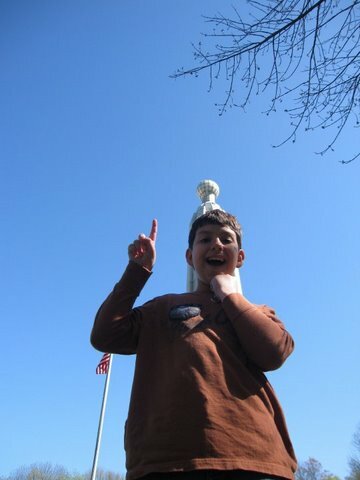 My unfortunate family is victim to the road trips I organize seeking sites claiming to be the “biggest,” “largest,” or “tallest” in the state, country, and even the world. Over time, my husband and two kids have come to enjoy, or at least tolerate, these fun outings full of great photo ops. 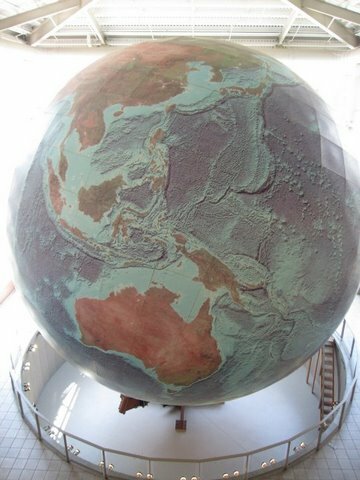 “Eartha” is a 41-foot, three-dimensional scale model of the earth with mountains and landforms in full 3D, which rotates and revolves to simulate the earth’s real movements. She dominates the glass-enclosed lobby of DeLorme Map Company in this southern Maine town. Eartha is immense, so regardless of your age, your first reaction is “Wow!” To even see the northern hemisphere, you have to take the stairs or elevator to the second and third floor observation balconies. She tilts at 23.5 degrees, just as the earth does, and revolves on a special cantilever arm, powered by two electric motors. At maximum speed, a full revolution and rotation will take just one minute. As an added bonus to visiting the globe, you can also see the17-foot tall boot in the exterior courtyard of the L.L.Bean flagship store in Freeport, a few miles north. A monumental replica of Thomas Edison’s first practical incandescent bulb, the world’s largest light bulb is nearly 14 feet of Pyrex glass segments. It sits on top of the 117-foot concrete Memorial Tower at the Thomas Edison Center at Menlo Park, and was built in 1937 by former Edison employees. While you’re here, devote 30-60 minutes to visiting the adjoining museum, where you can see historic photographs, early light bulbs and other inventions, and even listen one of Edison’s phonographs. Edison’s laboratory was located on this tract of land from 1879-1884, before he moved to a more well-known site in West Orange, NJ. Still in his 20’s and relatively unknown during his time here, Edison was already churning out patents at the unbelievable pace of a sheer genius. Besides the phonograph and the light bulb, he came up with 400 other patents. As much as the Edison Center is educational, Splitsville is just plain fun! 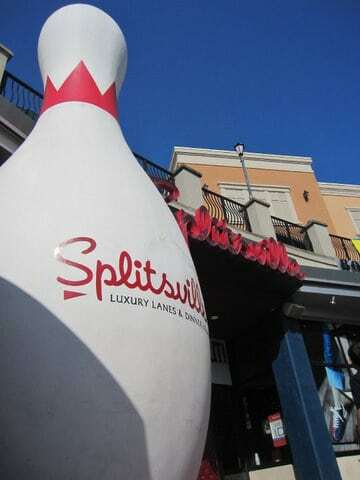 In front of this hip bowling alley on Florida’s midwest coast stands the world’s largest bowling pin, which towers 30-feet over the courtyard of the Channelside entertainment complex. On the inside, this is not your father’s bowling alley. It’s a hipster space with glam décor and a funky soundtrack. With only 12 regulation-size lanes, and a few pool tables, there’s a cozy ambiance rather than an echoing cacophony of bowling balls striking pins. Despite the cool factor, this is still an ideal place for family entertainment. You can program the lanes to raise the gutter guards when it’s the kids’ turns to bowl, and the smaller ones can roll their balls down 2-foot high metal ramps rather than trying to lift and throw them themselves. There’s something for everyone on the varied menu, including sushi and a full bar. Your meal is served lane-side, so you can continue your strike streak uninterrupted. 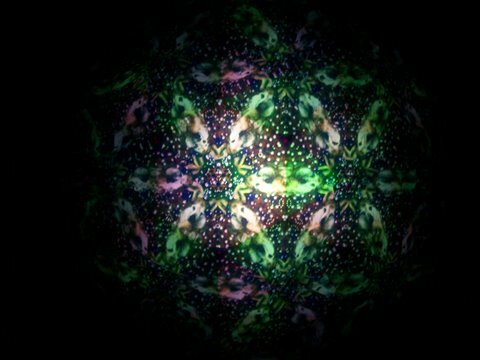 Constructed inside a tall black silo, the World’s Largest Kaleidoscope is located within the Emerson Country Store in the small Hudson Valley town of Mt. Tremper. The store itself is a minefield of breakable but beautiful kaleidoscopes available for sale. After being escorted to the interior of the silo, you’re offered the choice of lying on the floor to see the show, or leaning on tilted back boards. A ten-minute video — colorful, musical, and somewhat psychedelic – is reflected off three 37-foot tall mirrors, intensified by the high-quality sound system. A selection of three shows rotates, depending on the season.